#Rethinkfrozen is much more than a hashtag. One is encouraged to dismiss the preconceived assumptions of frozen foods and explore their benefits, to not only benefit the frozen food and beverage industry, but to benefit health. So why should we #rethinkfrozen foods? Here are six compelling and reassuring reasons why. Yes, you read that right. Frozen meals may actually be fresher compared to other foods transforming through their expected timeline. Simply put, the majority of frozen foods are frozen during the peak ripeness and acts as nature’s “pause button.” More specifically, produce is flash frozen within hours of harvest to lock in key nutrients and preserve taste. Interestingly, reflecting back on the so-called “pause button,” frozen foods may actually even offer a greater nutritional value. It is important, though, to stay cautious of the sodium, sugar, and other preservatives added to frozen products. Take advantage of the “Nutrition Facts” and “Ingredients” labels to verify whether or not unnecessary ingredients have in fact been added. In such a busy society, convenience generally means a trip to the drive thru following a long day’s work or a call to the pizza delivery guy. But if you #rethinkfrozen, convenience still can occur while remaining compliant with personal health goals. Minimizing food waste can in turn save consumers money, as foods likely to spoil can be preserved for future use. Additionally, some frozen foods are suggested to cost lower per serving and have a prolonged shelf life compared to their refrigerated counterpart. Frozen food is the suggested solution to food waste, a concern 89 percent of Americans are starting to take notice of. But the worry is not merely based on false reality, as $162 billion worth of food is wasted per year with 40 percent of all food produced in the U.S. not consumed! But with frozen foods, 47 percent less is wasted. The farm-to-table movement gained notice and advocate for supporting local and lessening food travel which is further described here. And with farm-to-freezer, farms are creating thousands of jobs and producing millions of frozen food products. Not only are these products ending up directly for purchase, but allows chefs the opportunity to incorporate produces that may not be available in their fresh form all year-round. Balance by bistroMD is just another added reason to #rethinkfrozen… bistroMD’s newest extension offers healthy, frozen food based on an a la cart delivery system. 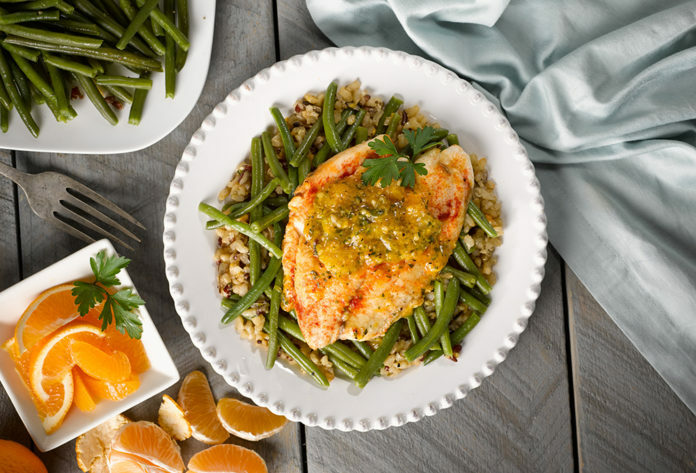 All meals are flash frozen and withhold their nutritional value without compromising flavors! For more information on Balance by bistroMD official webpage. About frozen foods. Frozen Food Foundation. Available at: http://www.frozenfoodfacts.org/about-frozen-foods/frozen-food-facts.